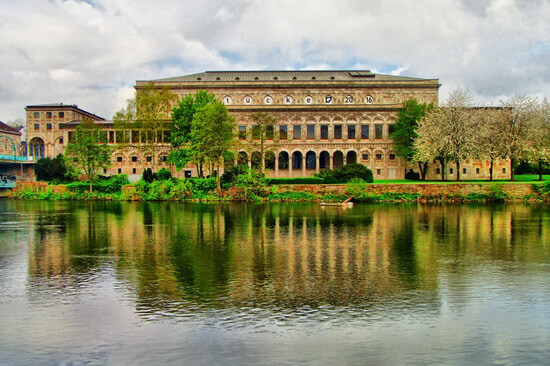 A glamour shot of Mülheim’s Stadthalle – which does not house the city government, but is actually a theatre and concert venue. It was originally built in 1926 and rebuilt in the 1950s after it was heavily damaged in WWII. It is located on the West side of the riverbank opposite of the city center and has a big concert hall, a second smaller chamber music hall and a ballroom.